Both my kids enjoy making Hama Bead pictures and goodies. Sometimes the creations turn out quite well and other times, well sometimes they just do not turn out as we had planned. 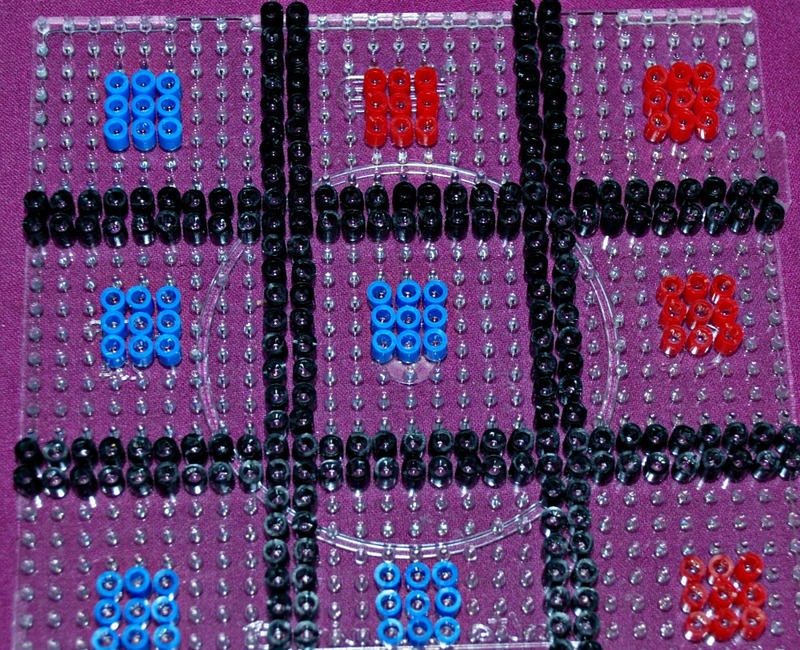 So when my youngest chirped up that we should make our own version of the noughts and crosses game but with our Hama beads I was a little skeptical. We quickly realised that the traditional crosses when made with Hama beads are just not strong enough for little people who sometimes can be a bit excited when they play the game. 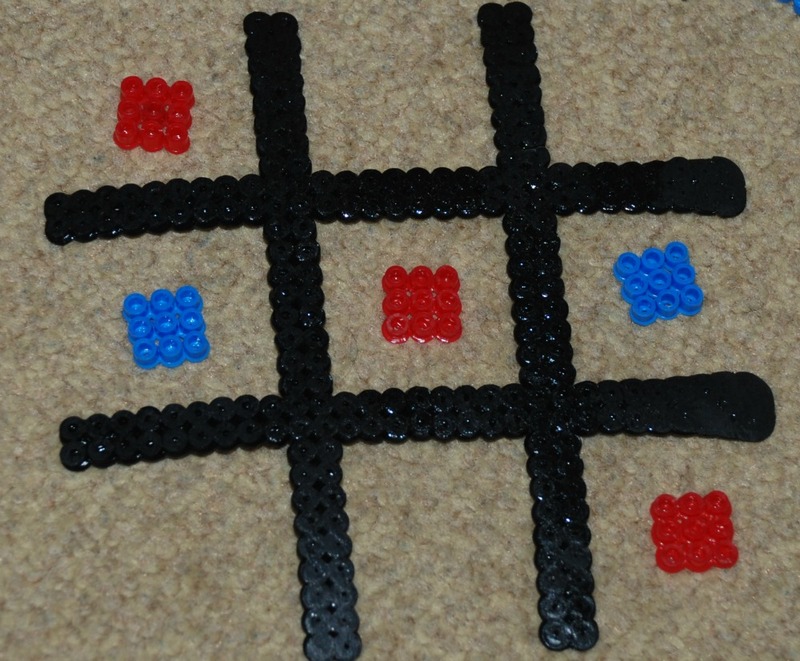 So we substituted the noughts and crossed with some red and blue rectangles (why rectangles ? – well that was just the shape that my youngest choose and he ended up making them all so we went with rectangles). It is actually really easy for the kids to make themselves. I did help my youngest work out where the rows and columns go as he was battling to figure out how to split it equally in three sections. But once I set him up he did the rest. And did the kids actually use it to play the game after everything was ironed ? They both like the idea of home-made games, especially if they have helped make the game. Very simple and easy to make, although my ironing clearly could have been a bit better. 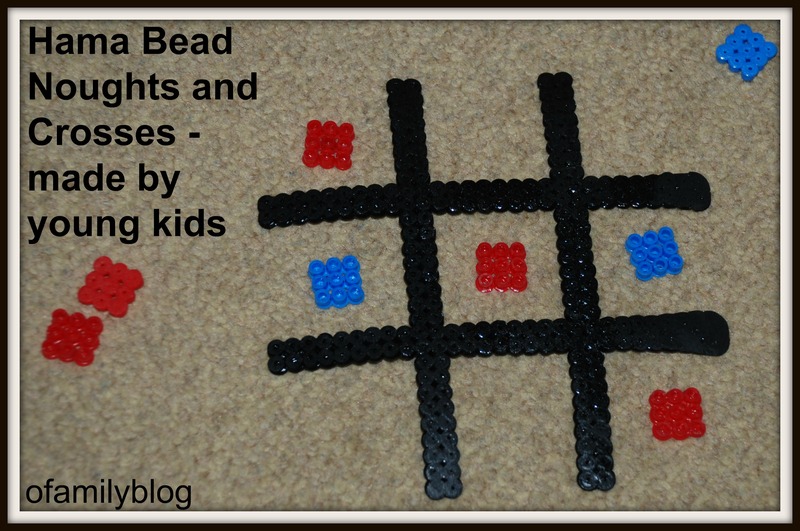 This entry was posted in Art and Craft Ideas and tagged children's craft, Hama beads, home ed, home education, homeschooling, noughts and crosses. Bookmark the permalink. 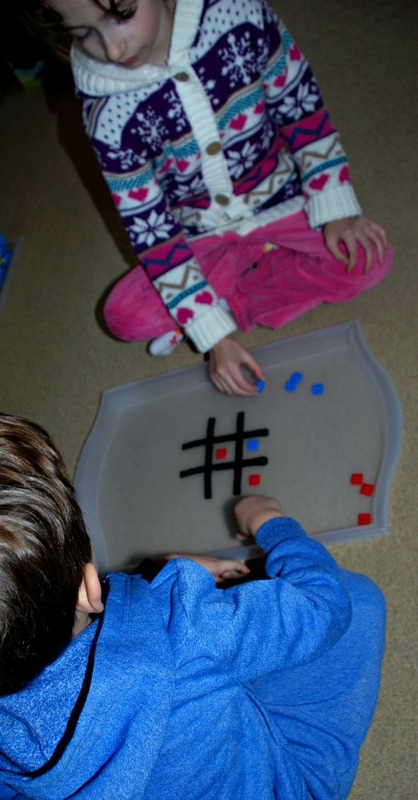 what a lovely idea…..and the game will stimulate as well……clever little chap.. This is a very good idea. We are Hama Bead fans too. Homemade games rock! All of your children’s Hama Bead creations are cool.